Looking for a mix of lip care and lip color? Introducing Mentholatum's NEW Lip Crayon Lip Balm that serves not only as a lip enhancer, but also nourishes lips with bountiful moisture! Whether it's for an everyday look or for a special occasion, the all-new Mentholatum Lip Crayon Lip Balm is just the right pick for you; all you need is only an easy glide to instantly transform lips into a glowing healthy, pink and moistured looking lips. It comes with a really cute packaging, which it was a thick crayon design with silver cap and end. You need to be careful when you close it because the cap will somehow scratch the color. It can twist up and down like normal lipstick too! I really love how it was designed in pen crayon so when you draw your lips you can hold and draw it better too. 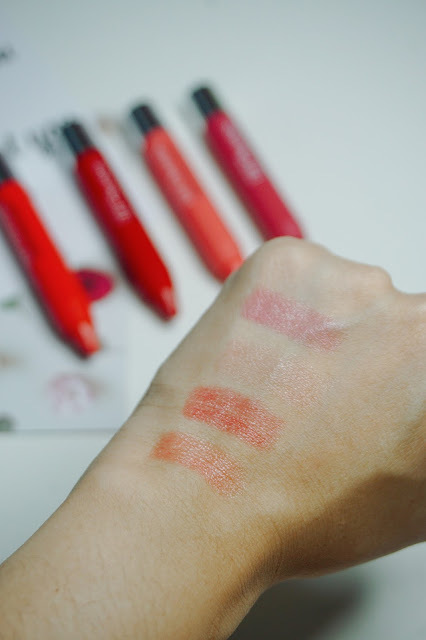 This Mentholatum Lip Crayon Lip Balm comes in four different gorgeous pink shades to suit different skin tones. It was marked in colored 01 - 04 which they don't have a specified color name. 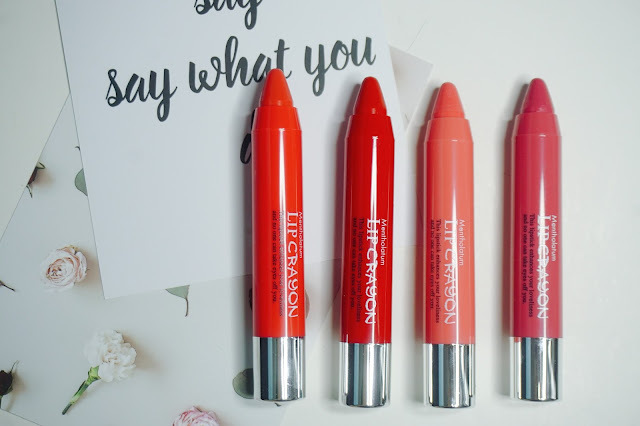 With just a simple glide, this super nourishing lip crayon instantly gives you a truly beautiful, sheer and soft lip color. This is the most reddish color among the four shades. 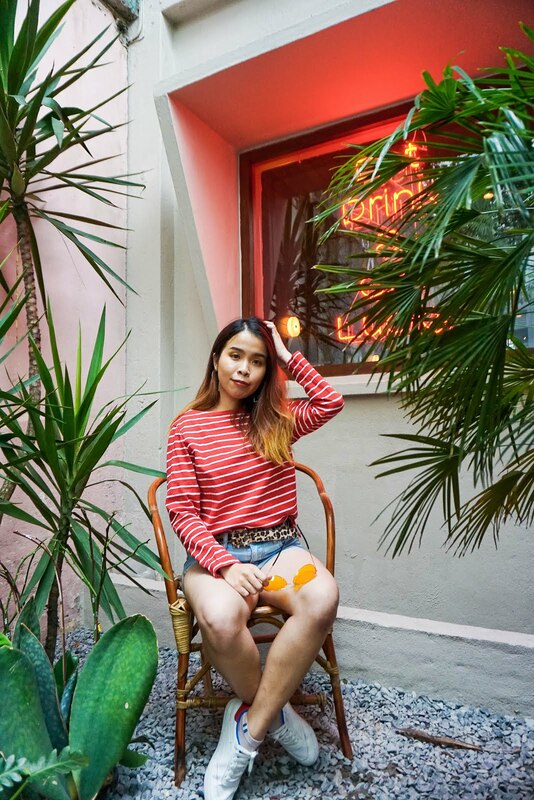 If you opt for moisturizing and a natural red lips color, this would be perfect on for you! 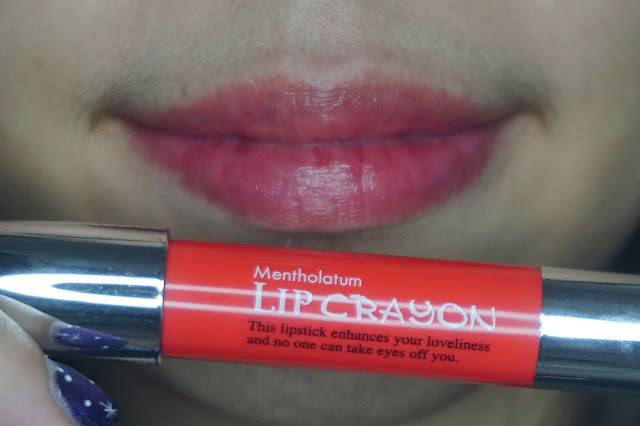 Contrary to any other ordinary lip crayons, this Mentholatum Lip Crayon Lip Balm is ultra-moisturizing as it is infused with moisturizing ingredients that include the Argon Oil and Meadowfoam Seed Oil to help hydrate, nourish and protect lips, leaving lips smooth and hydrated even after long hours of application. It was the lightest and fair pink shade for your lips. Thi shade has close to the natural pink lip color that we have. I do apply for few slides to achieve plumper and fuller lips color. 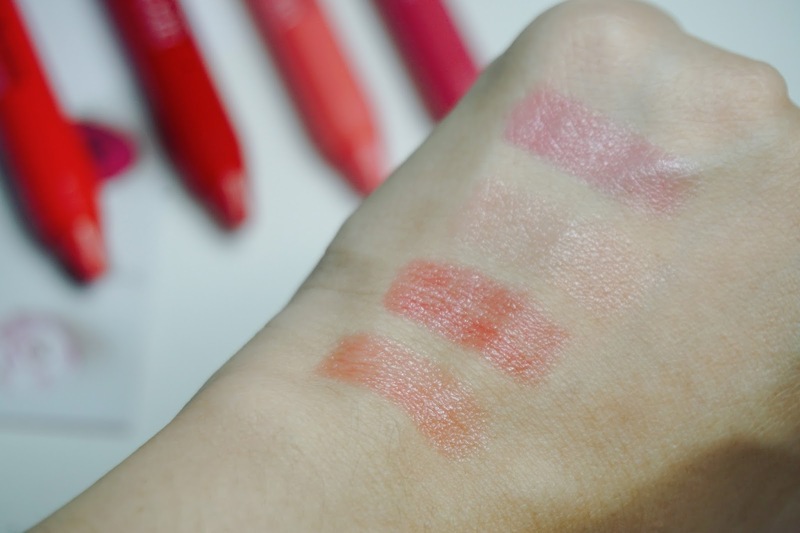 If you swatch on hand, the color is barely seen as it was more to transparent and natural color shade for your lips. This is my second favorite shades in this 4 colors. It has slightly brighter pink than color 02, it gives brighter and pretty pink berry shade on my lips! The color on the packaging and the lips does look like it has slightly different but for me, it looks exactly the same. 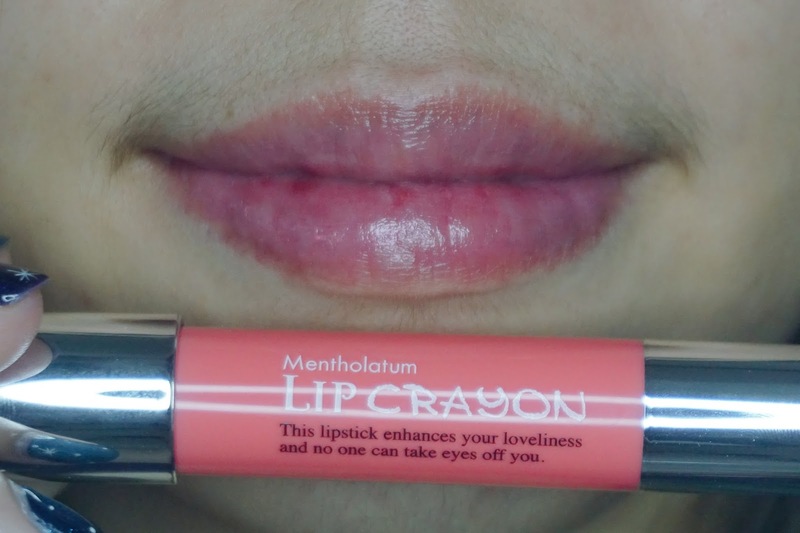 Mentholatum Lip Crayon Lip Balm is formulated not only to add a subtle pop of colors to the lips, but its moisturizing properties also ensure that lips remain moisturized throughout the day. My favorites shades among these 4 colors. 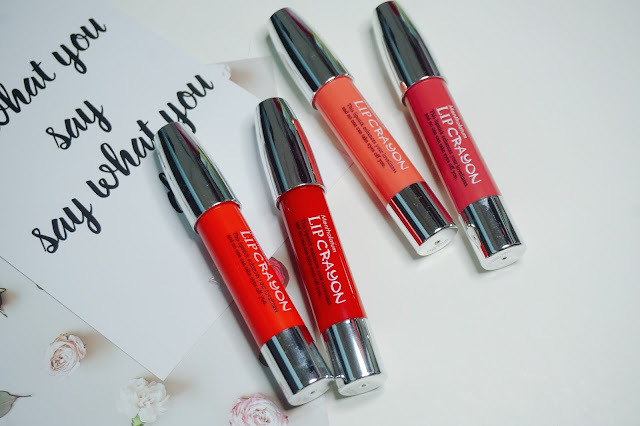 It has the most natural red lips color when I apply on my lips, the color is not overpowering but it gives the right amount of natural red colors and moistures for my lips! Perfect for my daily look. I am having fun while doing swatches of these 4 lips colors because each color is so pretty! It felts so moisture on my lips when I first apply. 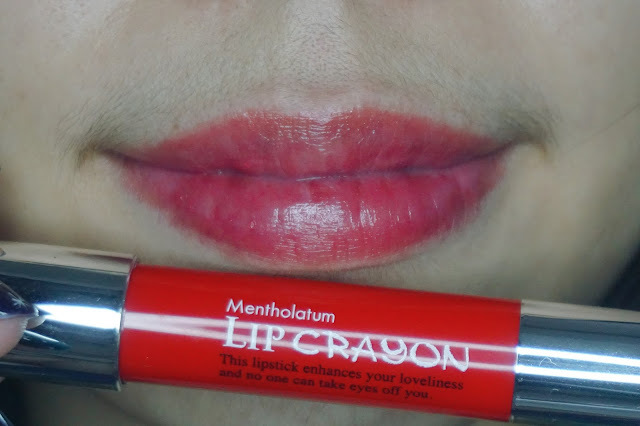 I like how it was designed in lip crayon where I can apply more define my lip shade. It was so fun and cute to use it too. Not only the colors are pretty but I love that it multifunctional as a lip balm too. Define, enhance and beautify your overall makeup look with the all-new Mentholatum Lip Crayon Lip Balm! 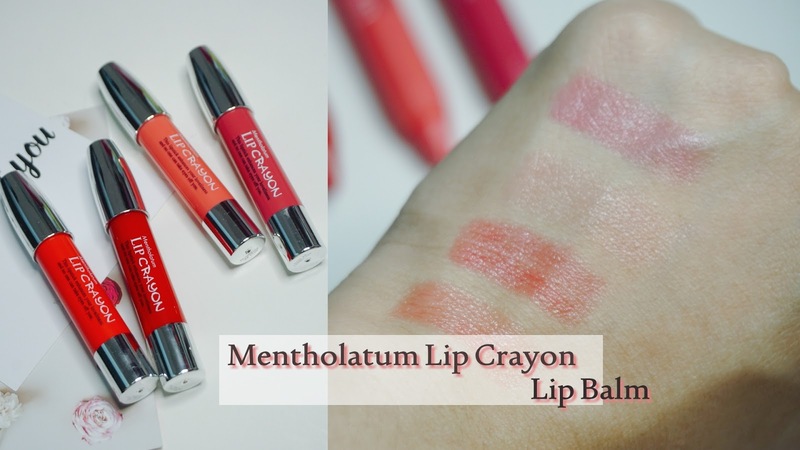 The Mentholatum Lip Crayon Lip Balm is Fragrance-free and is retailed at RM 19.90 (3g). It will be available at all leading pharmacies and hypermarkets. So cute crayon-shaped lipstick/lip balm. The normal sticks are so dull by comparison. I prefer 04 on you. Looks so bold and striking. yeah! 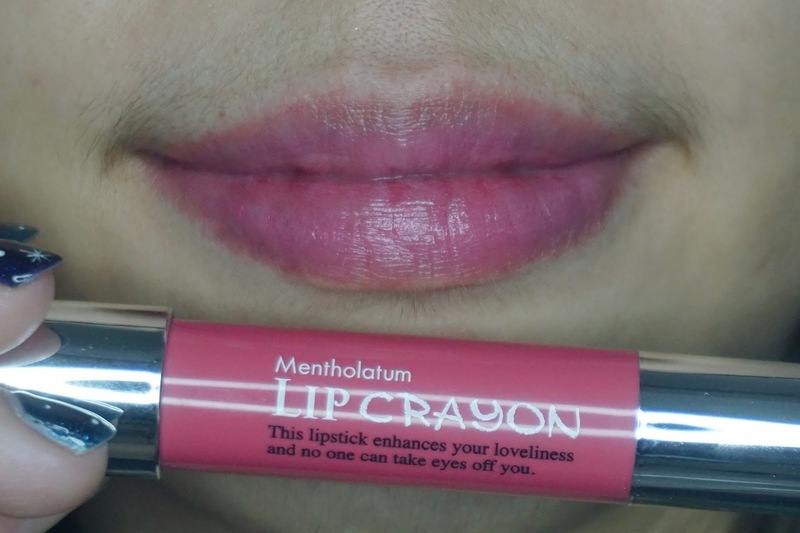 I love to use the Metholatum Lip Crayon Lip Balm 04 too, feeling mint cool and refreshing while keeping my lips moist. Just love to use it daily. Yes perfect for daily usage! Next time when I saw these kind of weird of color, I will be the first to intro you!! I am loving those lip crayon lip balm. Perfect for every day use and the shade is so simple. I love it. I agree and easy to rock in!